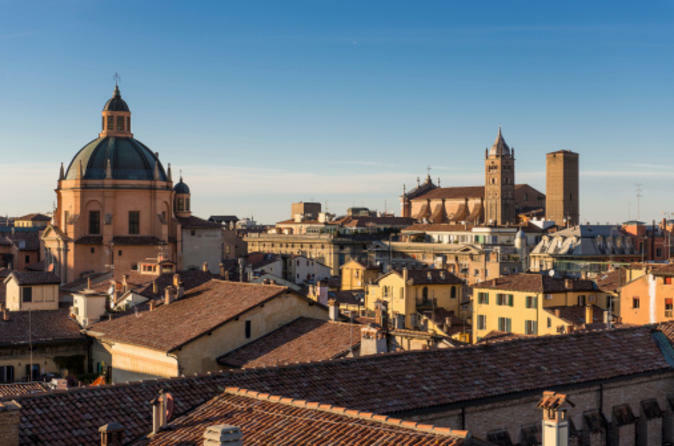 Explore the culinary and motor heritage of Italy’s Emilia-Romagna region on this full-day tour from Bologna. 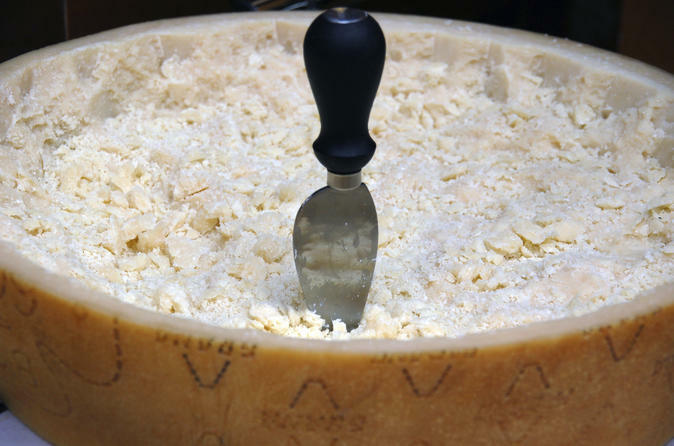 Traveling by minivan, visit producers of the area’s three best-known foodstuffs — Parmigiano-Reggiano (Parmesan cheese), balsamic vinegar and prosciutto ham— to learn how each is made and taste delicious samples. 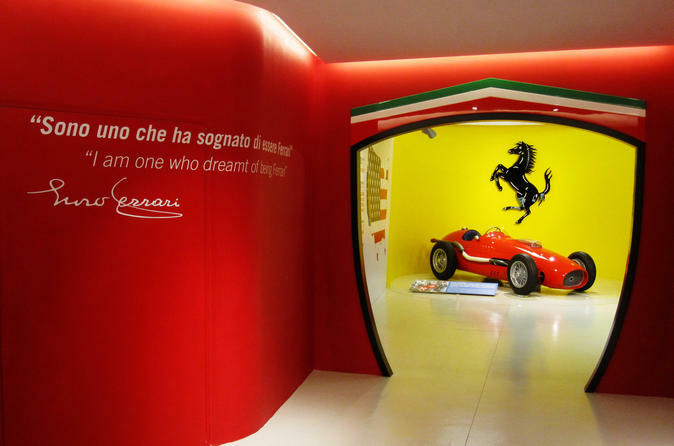 Then, visit the Ferrari Museo (Ferrari Museum) in Maranello to immerse yourself in all things Ferrari, and enjoy an optional test drive (own expense). A 4-course lunch, including wine, and the personalised atmosphere of a small-group tour limited to 14 people make the tour extra enjoyable. 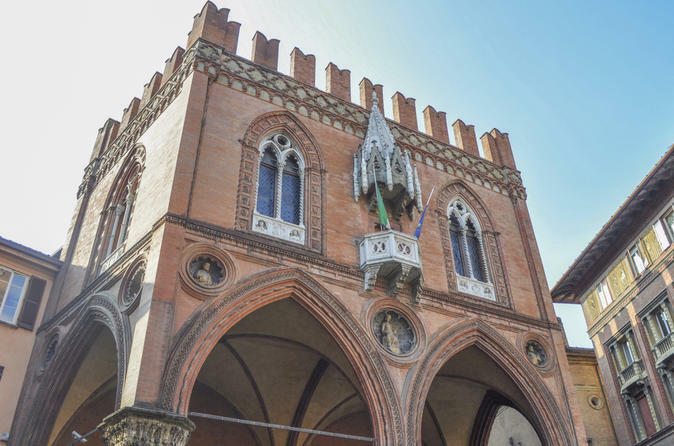 Visit medieval squares and landmark churches on a 2-hour guided walking tour of Bologna. Choose from a morning or afternoon departure and see the city's key sights including Piazza Maggiore, the unfinished Basilica di San Petronio, and the prominent Two Towers (Due Torri), which, due to geographical and architectural reasons, tilt at a precarious angle. Admire monumental sculptures including Fontana del Nettuno, and explore its market streets, where the abundance of gastronomic delights act as a testament to the city’s gourmet reputation. 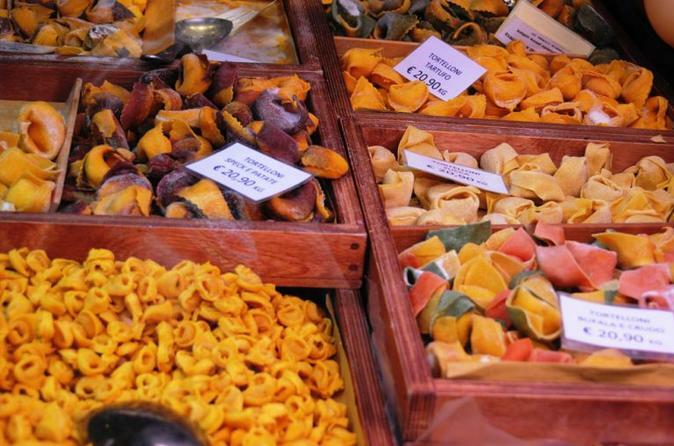 Explore the province of Bologna in this full-day food tour. 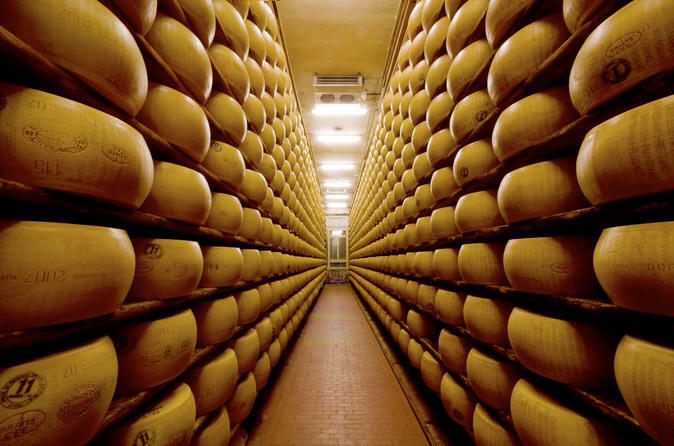 Indulge in degustation of Parmigiano Reggiano, prosciutto, wine and traditional balsamic vinegar. 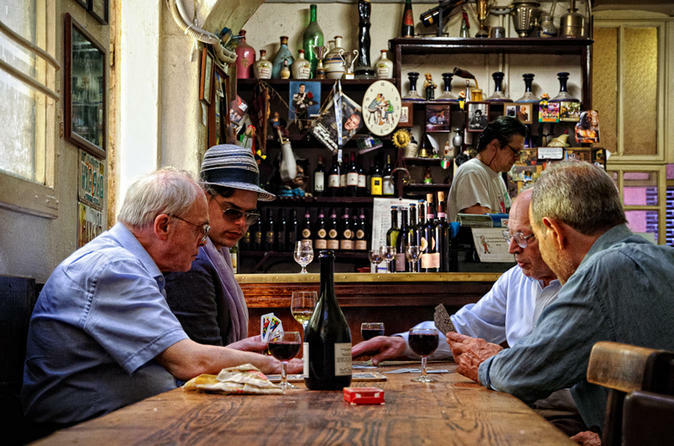 At the end of the tour, enjoy a traditional Italian lunch at a local 'trattoria' or in a certified organic winery. 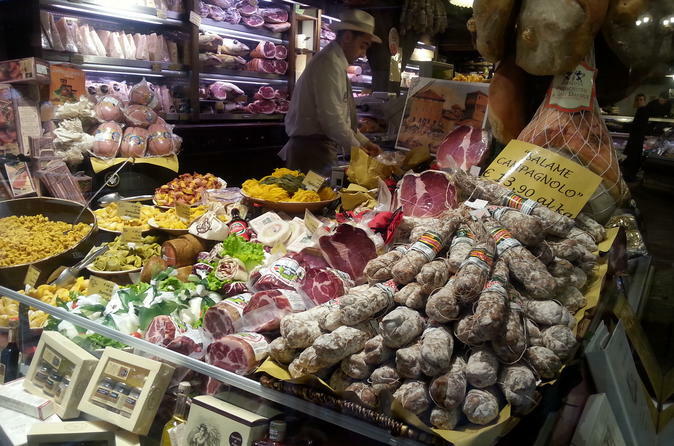 Explore one of Bologna oldest food markets with an insider and visit the most traditional food shops. 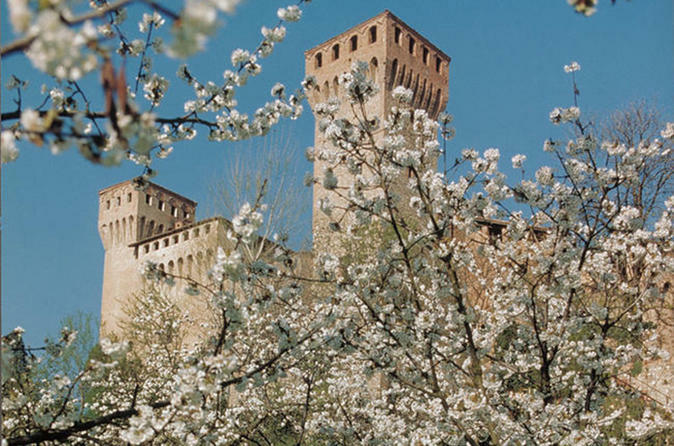 Learn about the history, culture, architecture, that make Bologna medieval market so unique. 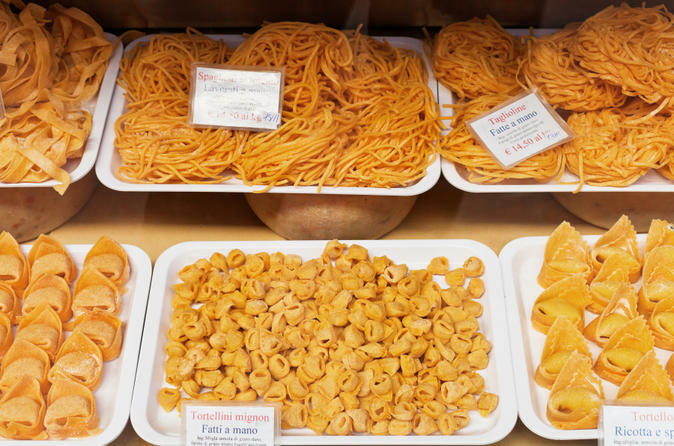 During this tour you will enjoy a variety of food specialties that has secured Bologna's reputation as being the foodie capital of Italy. Discover the secrets to having the ultimate food and cultural experience off the beaten path! 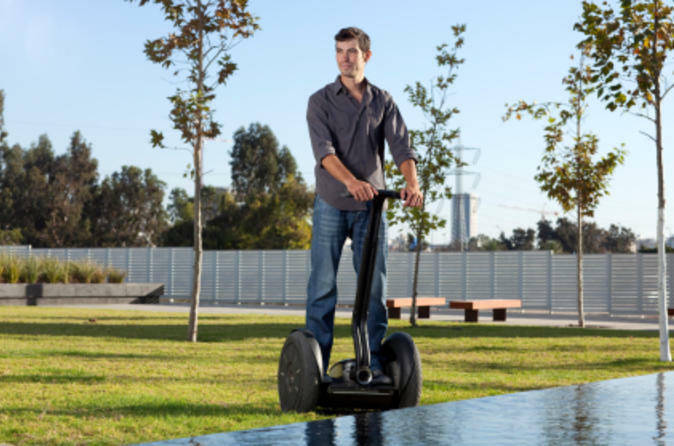 Cruise effortlessly through Bologna's stunning medieval center by Segway! 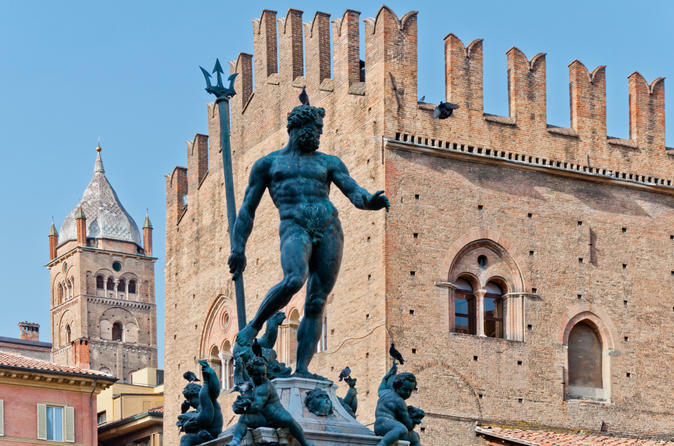 See some of the city’s most important attractions such as the Basilica di Santo Stefano, Piazza Minghetti and the famous Fountain of Neptune (Fontana del Nettuno), which dates back to the 16th century. A lovely walk through the ancient pubs in the historical city centre of Bologna. The presence of university students has helped the opening of this kind of "shops" since the XIIIth Century and also today, among the narrow streets of the medieval town, some XIVth Century pubs are still very crowded. This kind of reality didn't change during the centuries and today, like ever, Bologna night life is peculiar for its vivacity and innovation. A one day self-drive cycling tour of historical places, to taste delicious food and fine wines. Travel by train and bike. Stirring medieval love stories of young maidens and noble youths divided by warring families, or the more recent experience of famous poets such as Foscolo, Leopardi, Shelley and Goethe, all of whom found passionate love in Bologona.